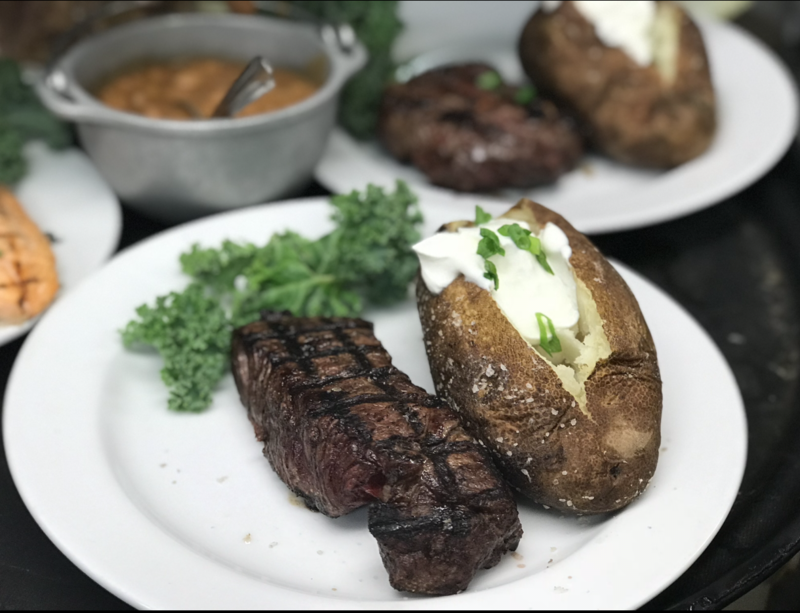 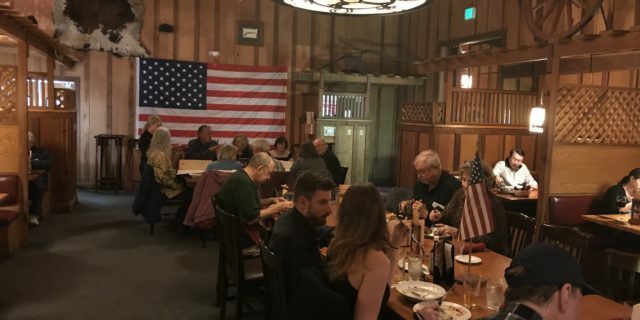 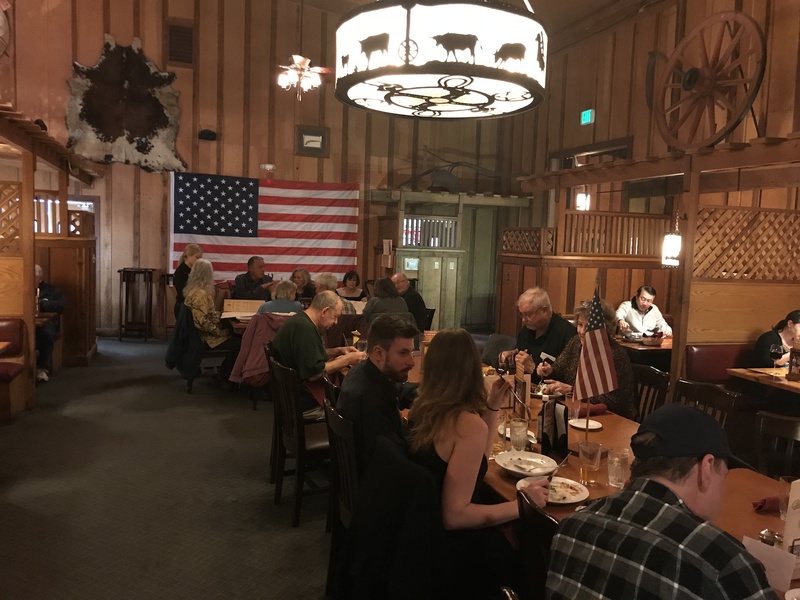 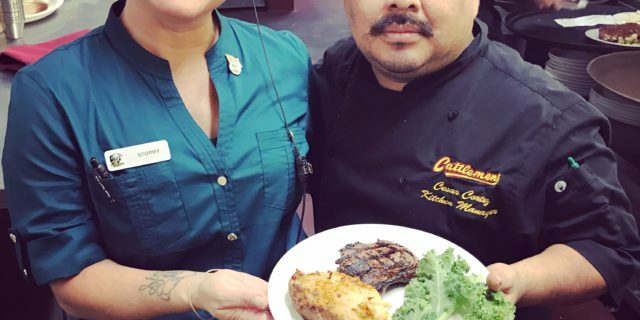 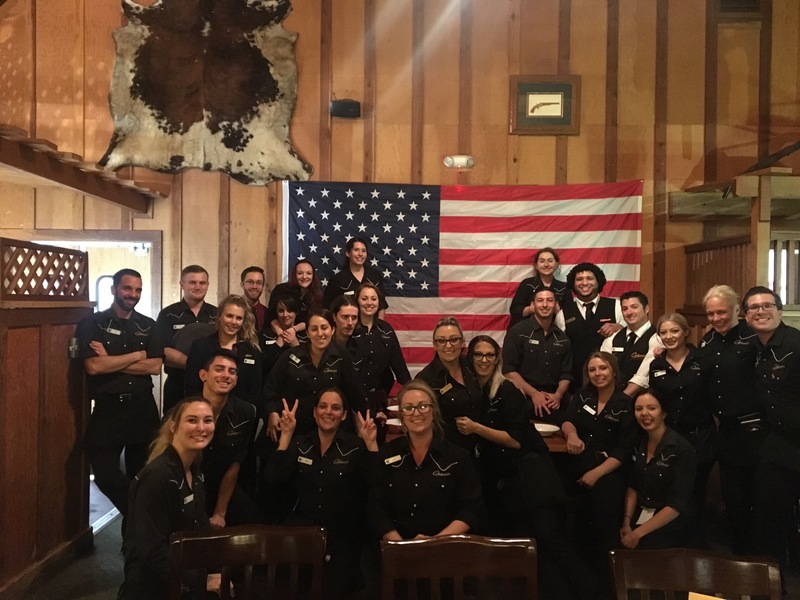 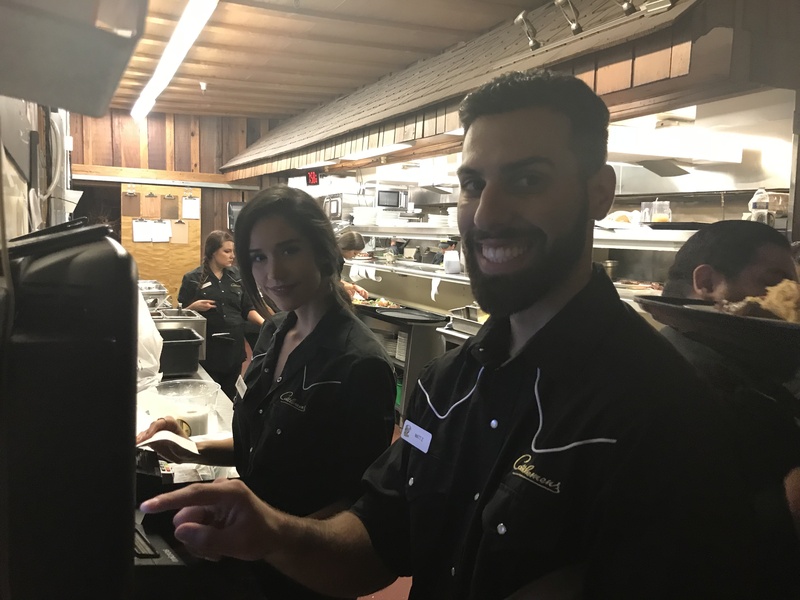 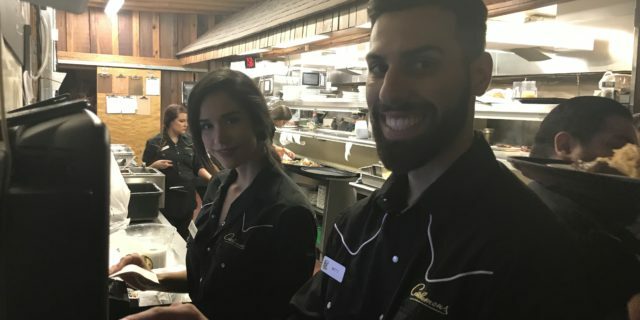 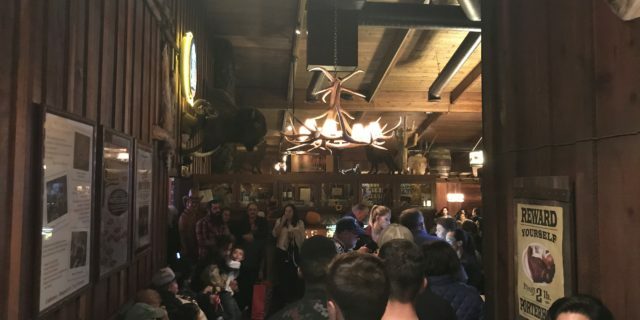 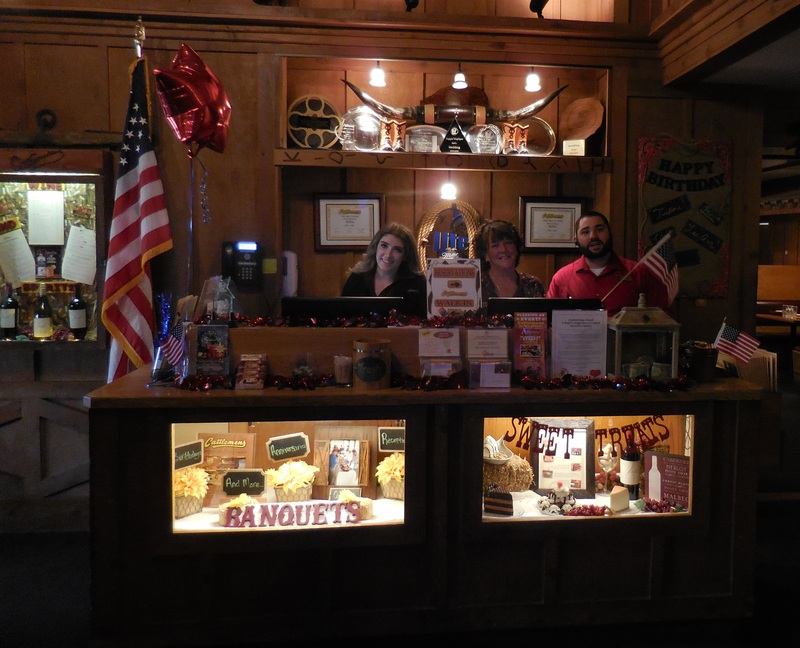 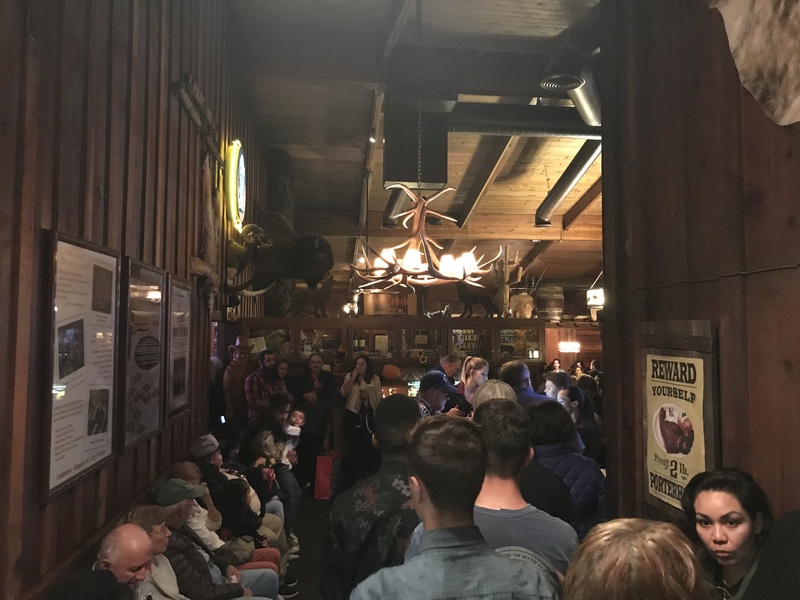 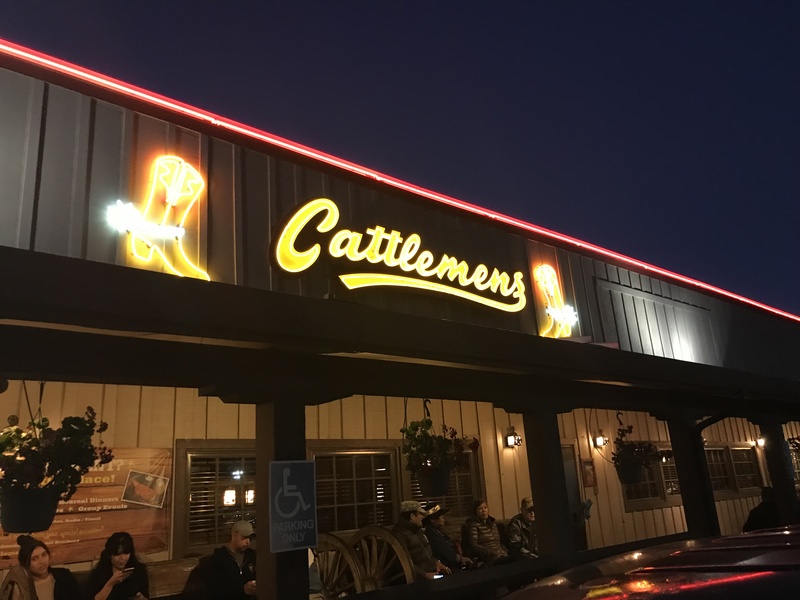 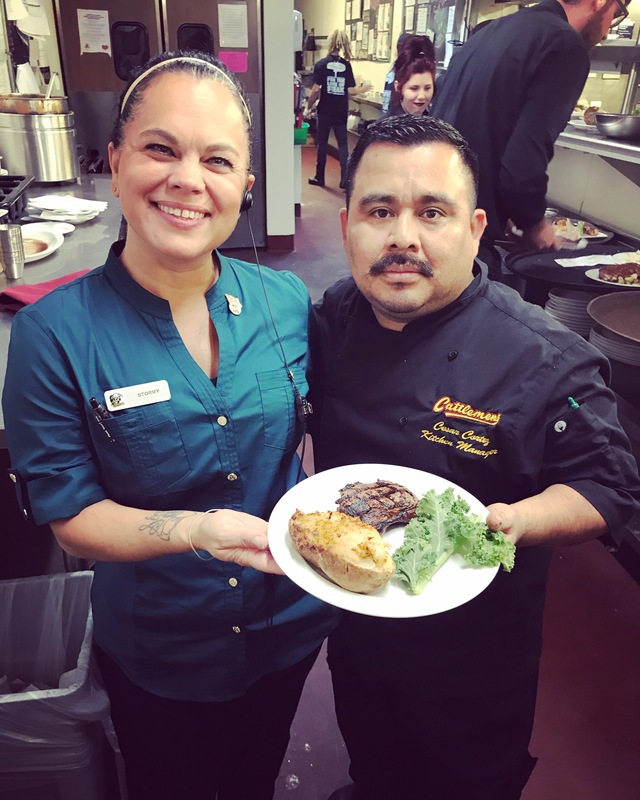 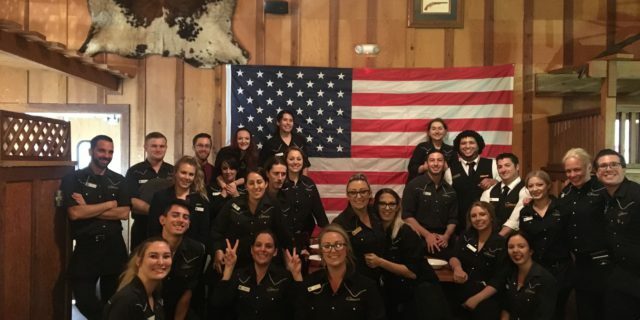 In Honor of Veterans Day Wednesday November 11th, Cattlemens Steakhouse continued the tradition of inviting all active, inactive, and retired military personal to enjoy a complimentary 8 oz. 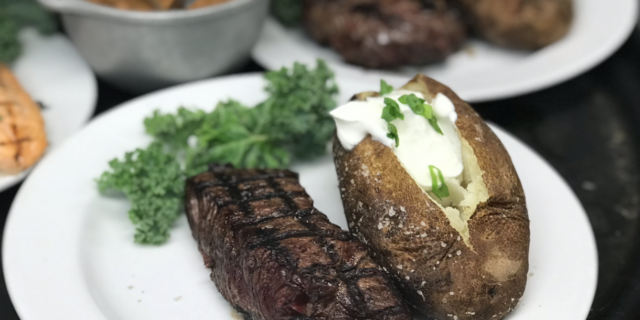 Sirloin Steak dinner. 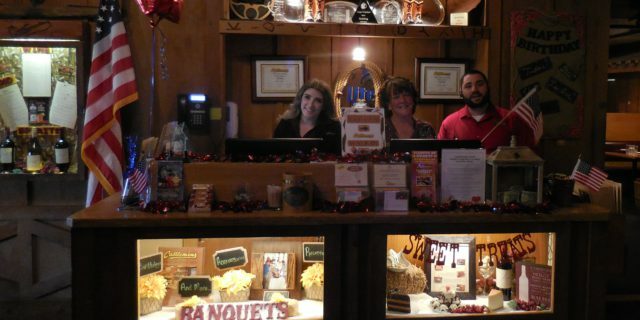 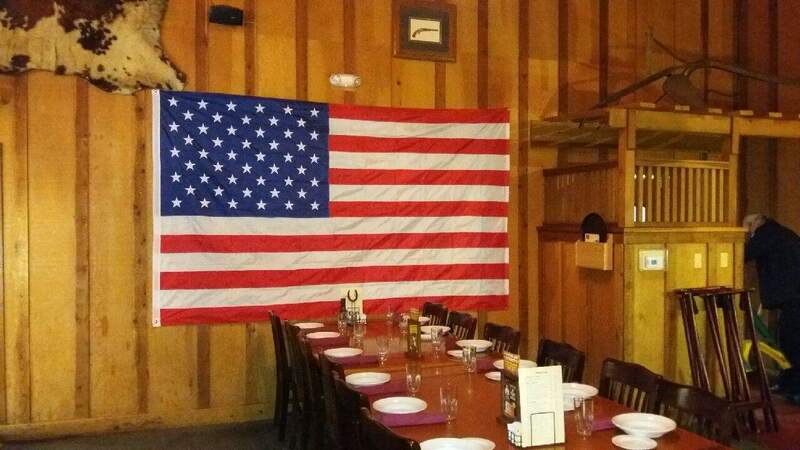 It was Cattlemens’ way of proudly serving those who have served our Country and has become a tradition at Cattlemens. 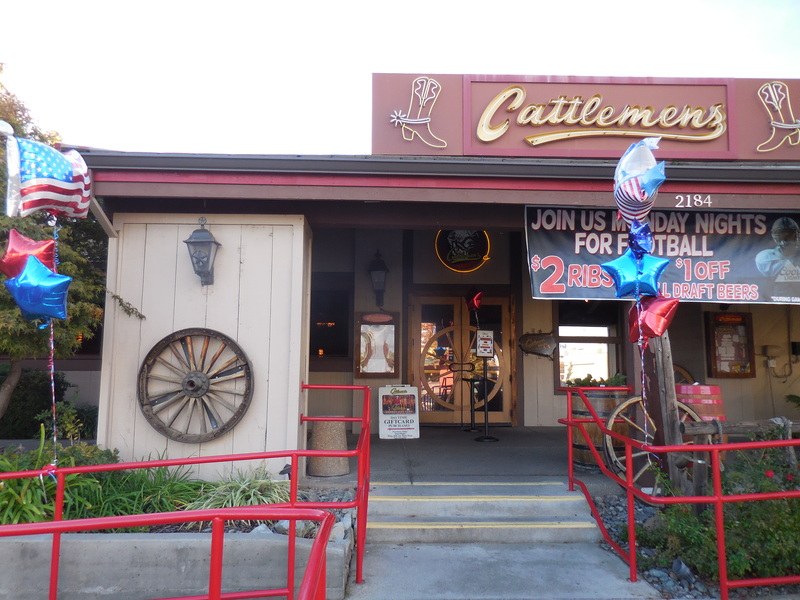 In the six years of this offer, Cattlemens has served almost 12,000 Veterans. 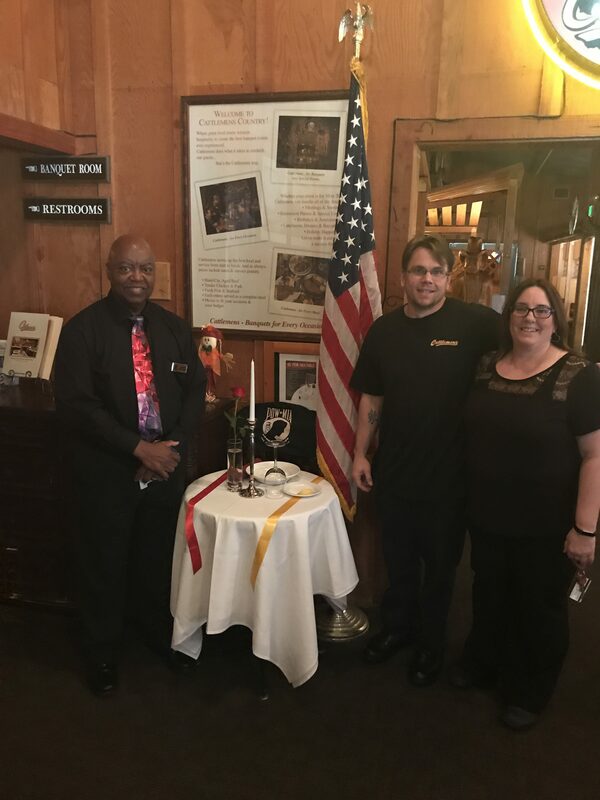 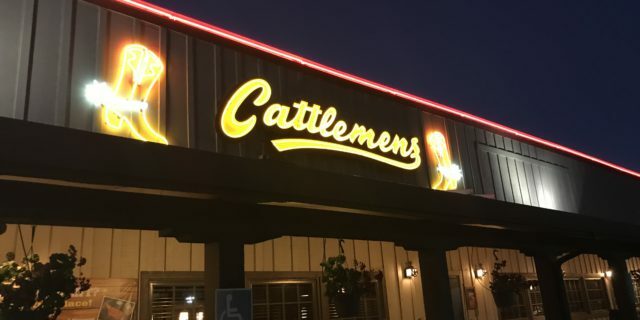 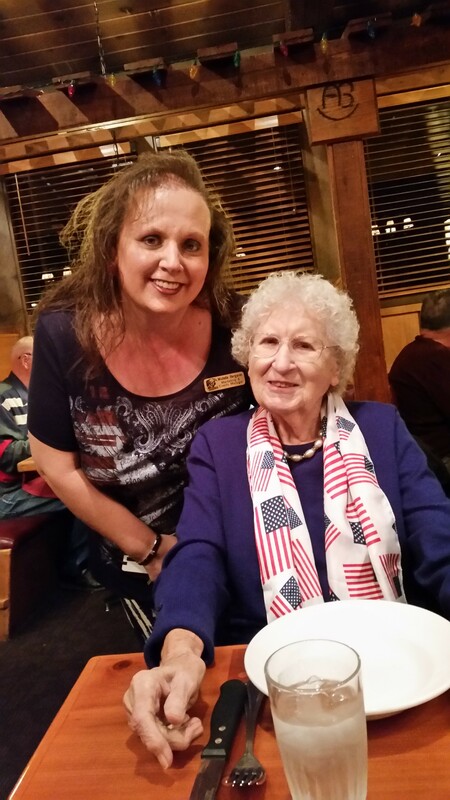 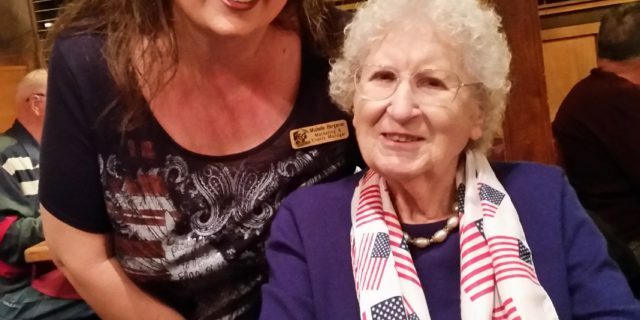 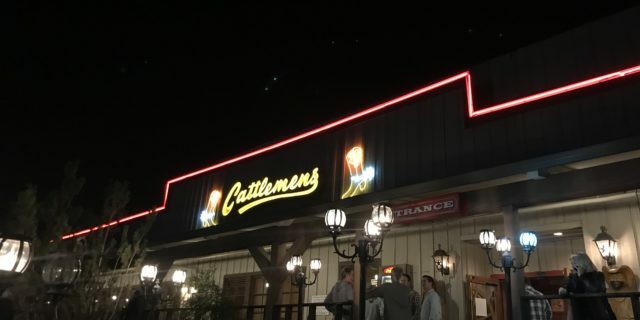 Cattlemens staff enjoyed sharing in the many stories and honors with Veterans, as they had a sirloin dinner “on us”. 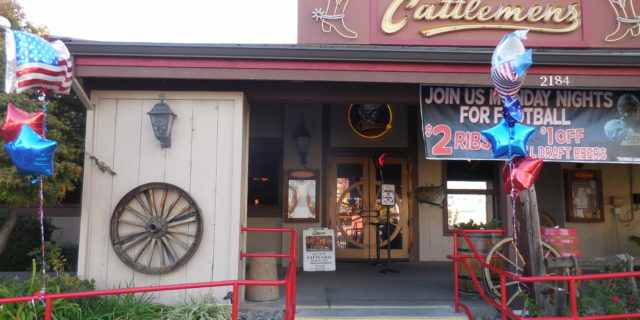 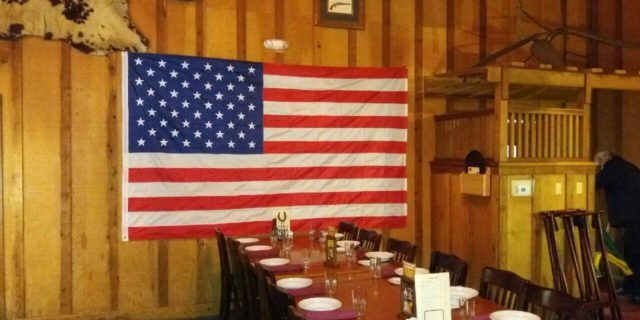 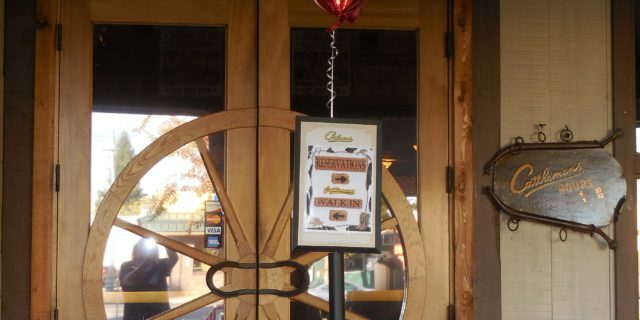 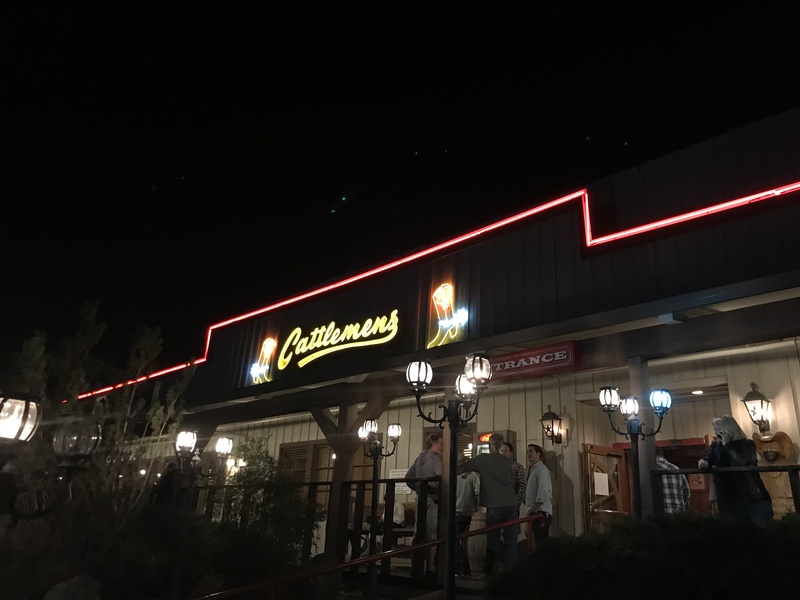 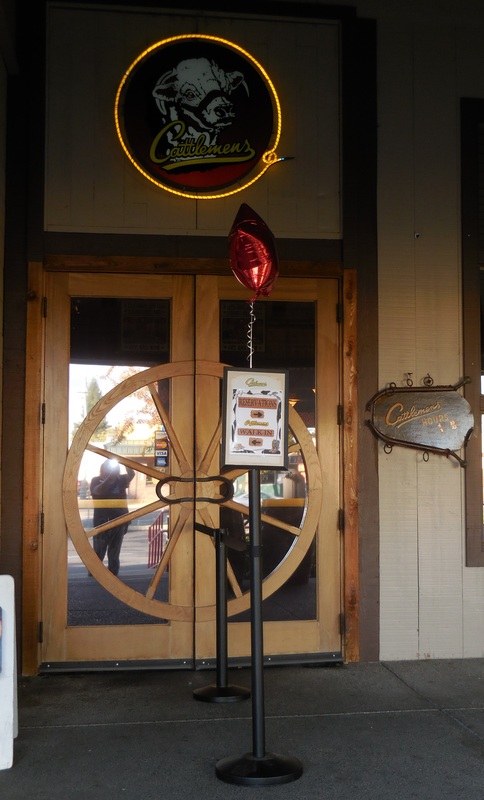 In all, 6,542 guests dined at Cattlemens on Veterans Day, over 2,400 were current or former military members. 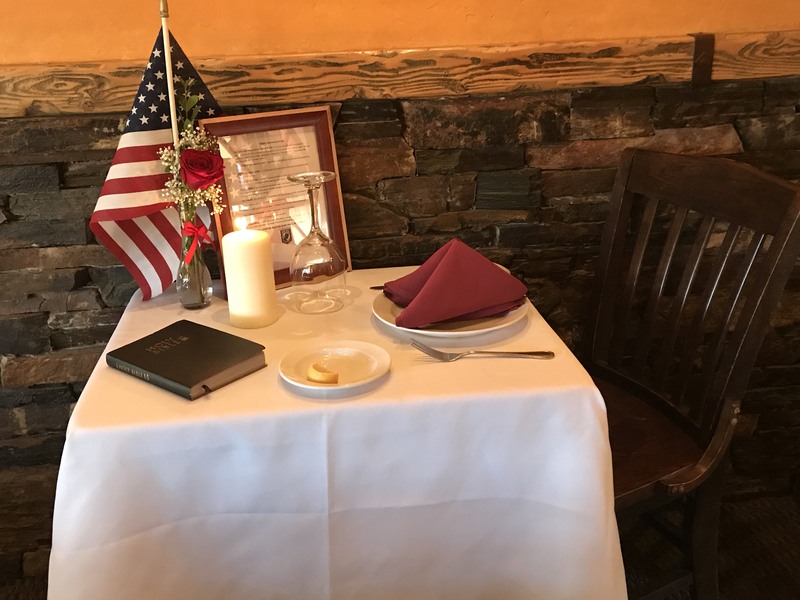 Many locations also honored the Veterans with a “Missing Man Table”. 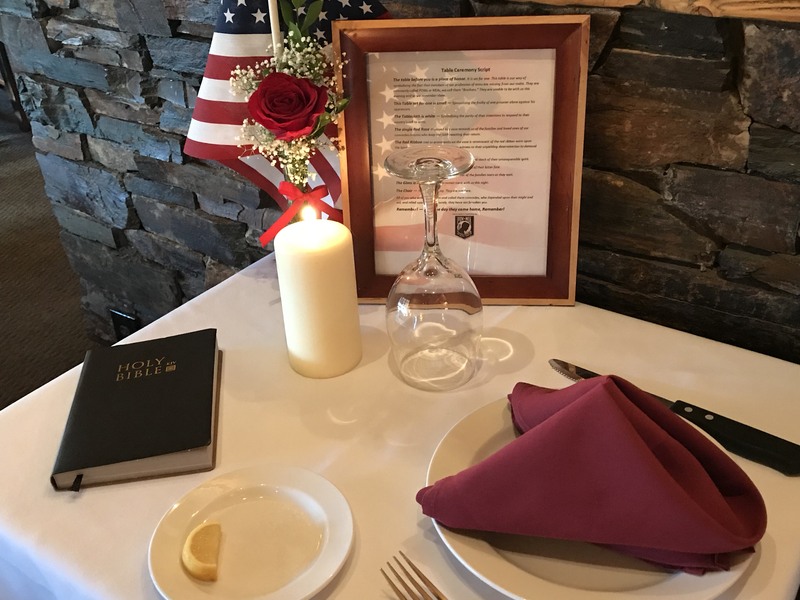 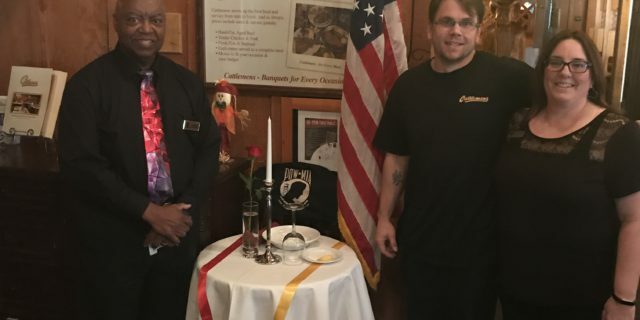 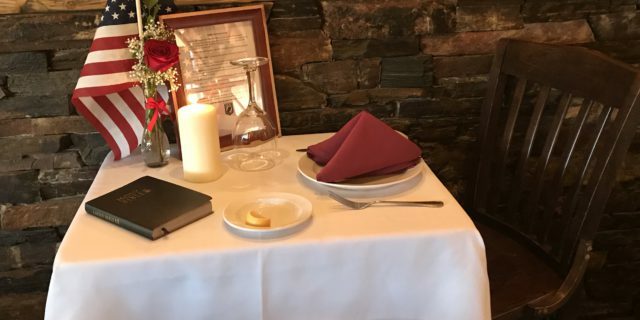 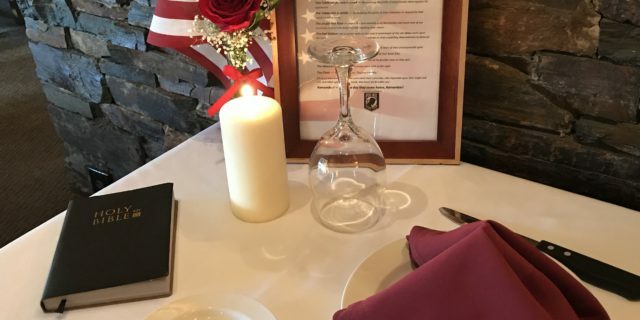 This table is a place of honor, set up in military dining facilities of the U.S. armed forces and during occasions such as service branch birthday balls, in memory of fallen, missing, or imprisoned military service-members.